I thought of this recipe one day after swimming in lava. Mix equal parts of the dry ground rhizomes and spice in a resealable container like a Ball jar. In an 8 oz. drinking glass (or bigger, whatever) add some of the dry mix. Use about 1/4 teaspoon if you’re a wimp or about a full teaspoon if you have something to prove. To the dry mix add about a teaspoon of honey and around an 1/8 cup to 1/4 cup of apple cider vinegar. Stir to combine. The dry things combine best if the wet things are room temperature. Once combination has been achieved, pat yourself on the back then fill the rest of the glass with orange juice. Again, there are options here: Use pulp-free OJ if you’re a wimp or just dump in whole puréed oranges if you have something to prove. Add some whiskey if you think another dimension of fire sounds nice. What does this fantastic elixir cure? Boredom and a random selection of ailments found on WebMD. Why, for the love of all that’s tasty, does everyone always ask how long things can be kept?! Just eat and drink the delicious things. Why are none of the measurements exact?!?! The thing about recipes is that no one ever follows them exactly. Even if I told you precisely how to make this drink, you’d still alter it somehow. Use the ingredients you have. Substitute something for another. Try a new idea. Have fun! If your interface doesn’t turn on or fully boot, the PSU may have failed. A friend of mine brought over his Focusrite Liquid Saffire 56 audio interface to have me look at it. The unit wasn’t working. After turning on the power switch a few LEDs would blink and an internal relay would continually click, but it wouldn’t power on fully and wasn’t recognized by the computer. We opened up the chassis and tried powering it on. WARNING: THIS IS REEEEAALLY DANGEROUS. DO NOT ATTEMPT UNLESS YOU KNOW WHAT YOU ARE DOING! We looked around to see if we could spot anything suspect. There were no obvious culprits like burn marks on the PCBs, blown fuses, or exploded/leaking capacitors. Given the symptoms, I suspected that some of the electrolytic capacitors in the PSU were dried up or had vented—a common problem in gear that has aged a few years. Bad caps in the PSU could cause the unit to be under- or over-powered, which probably was causing the relay to keep tripping and preventing the main board from fully booting. After I pulled out the PSU I could more clearly see that the largest cap was bulged on top. That probably was the problem component. Electrolytic capacitors go bad over time. At least one cap on this board had failed—perhaps others had failed too. Since the interface was about a decade old and discontinued from manufacturing, it was essentially out of warranty. We decided to try fixing it ourselves. The new PSU has a cool new look and maybe some better electrical engineering too. I found a suitable replacement PSU sold by Full Compass. This replacement PSU doesn’t look the same as the original PSU that comes in the Liquid Saffire 56 and the Liquid Saffire 56 is not specifically listed as one of the compatible units, but it is in fact compatible. A Focusrite support representative confirmed that this PSU is the correct replacement. So my friend ordered the PSU. A few days later it arrived and I swapped the old for the new. The interface fired right up and is working like new. Here’s how to modify first generation JBL EON series powered speakers to have an external fuse. The original JBL EON series powered speakers have a habit of blowing fuses more often than they should. 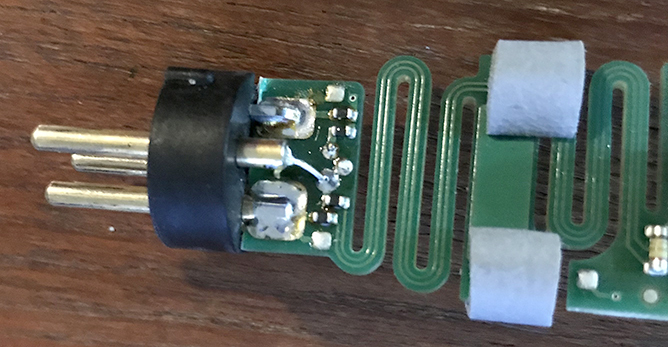 Simply flipping the power switch could sometimes be enough to trip the fuse, rendering the speaker unusable until the proper T2A 250V 5x20mm fuse could be replaced. I’m sure that this design flaw was addressed in the much better EON G2 series, because I’ve never had the same problem with them (I’ve owned and extensively used both generations). When a fuse does blow, fixing it requires removal of 14 screws to open the exterior, plus removal of 2 more screws holding the power PCB to the chassis. Then it’s a simple matter of swapping out the fuse and reassembling everything, which is complicated by having to make sure that the rubber gasket that seals the back and front enclosures together is properly lined up. All in all, it takes the better part of an hour to repair. That’s not very fun when you’re setting up for a show. To shorten the diagnosis and repair time of a blown fuse, I added an externally accessible panel mount fuse holder. Luckily, the speakers have a convenient spot for just such a modification right next to the power switch. Here’s a photo showing what I did. The pink lines indicate where the wires should be soldered up. Fuses & Fuse Holders This pack comes with a bunch of fuses. Use the 2A fuses. 16 AWG wire Only a few inches are needed. Step Drill Bits I used these to make a 1/2″/12mm hole for the fuse holder to fit through. There’s an easy way to fix this Pro Tools error. Could not create a new document because Assertion in “/Volumes/Development/223020/ProTools/DFW/Views/UMenu.MacOS.mm”, line 1813. (Use the Copy button to copy this message to the clipboard.). If you get this error, it’s likely due to Pro Tools trying to use the wrong audio interface. Restart Pro Tools while holding the ‘N’ key. This forces Pro Tools to ask you which interface to use. Boom. No more error, hopefully. This worked for me on a Mac Pro trashcan running macOS High Sierra 10.13.6 and Pro Tools 2018.7.0 on a Tuesday in November. The Moon phase was Waning Crescent. I had vegetable soup for lunch and was facing South at the time of the error. Your mileage may vary. 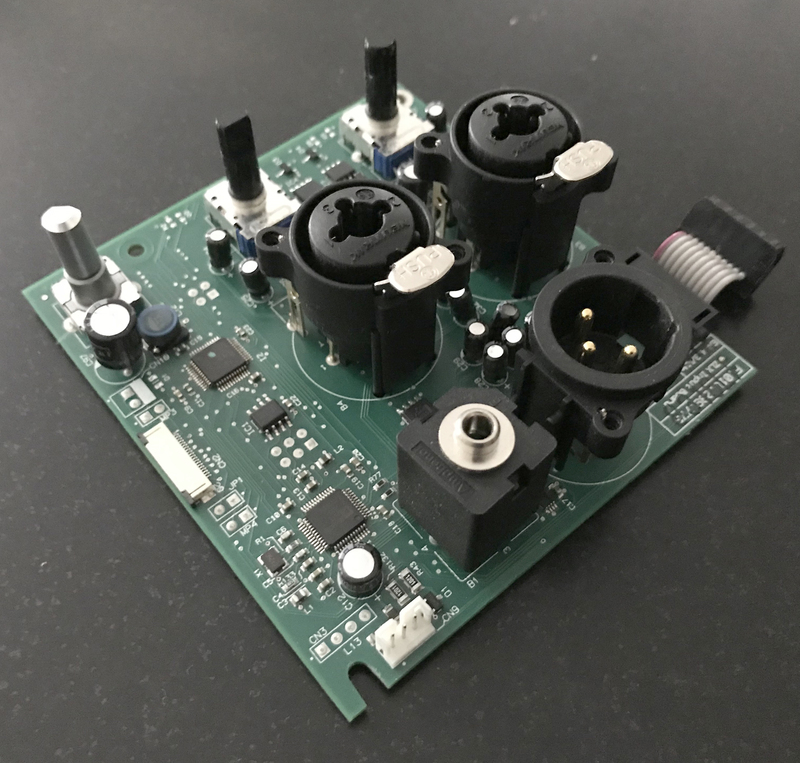 Locating a replacement input PCB board for the EV ZLX series speakers can be difficult. Here’s where I found the part I needed. Both of the XLR combo inputs on the back of my EV ZLX-12P powered speaker were blown. The previous owner had connected an amplified signal into the line level input. In layman’s terms, that’s bad. Everything on the PCB looked fine, but somewhere in the input board circuit something was fried. The 1/8″ stereo aux input still worked, which told me the amplifier board was still working correctly. So I simply needed to replace the input board. Trying to find just the input board and not the entire back of the amplifier was very tough. Most of the places I was finding online were in the UK. The price of superfluous parts plus international shipping was nearly the same price as buying a new speaker. It was hardly worth fixing. 2075 – 16th Ave. E.
Description: ZLX Input PCB Assy. This little thing is surprisingly hard to find. This input board will fit both the ZLX-12P and ZLX-15P powered speakers. I’m not sure if it works with the ZLX-12BT and ZLX15BT models or not, but I would assume that there’s either a different input board or additional Bluetooth board for those models. This board is definitely not needed in the ZLX-12 and ZLX15 passive speaker models. Inconsistent audio signal from your KMS105? The fix might be really simple. Here’s how I fixed one. My wife Katie Nelson and I both use Neumann KMS 105 condenser microphones for live performance. We love how the microphones sound and trust the Neumann brand. Recently Katie’s microphone was passing audio inconsistently. Sometimes it was normal, sometimes the output volume was quieter, and sometimes it would crackle as if the XLR cable was bad. I called Sennheiser, the parent company of Neumann, to inquire about repairs. They connected me directly with a bench technician who kindly asked questions about the symptoms and then walked me through the fix. He correctly suspected that the hex screws holding the capsule to the internal printed circuit board (PCB) were loose. In fact, the capsule was completely disconnected from the PCB. I was surprised that the microphone worked at all considering there was almost no contact between the capsule and PCB. Take out the machine screw on the side of the microphone that holds the XLR insert in place. There may be a small lock washer underneath the screw. Set them aside. Unscrew the basket (or grille, as people often refer to it). Slide off the black capsule cover screen. Very carefully pull on the capsule while simultaneously pushing on the XLR insert. WARNING: BE VERY CAREFUL WITH THIS STEP. THE PCB HAS A SERIES OF WAVY CUTS IN IT. TOO MUCH PUSHING OR PULLING CAN BREAK THE PCB. GO SLOW. GO EASY. Pull back the rubber ring around the brass capsule body. Remember the orientation of the ring in reference to the notch in the body. Confirm that spring is seated properly on the capsule center pin. Push the capsule body onto the PCB until fully seated. The hex screws should be positioned over the solder-tinned holes. While holding the capsule and PCB together in that position, use a 0.035″ (0.89mm) hex key to tighten down the tiny set screws. Replace the rubber ring. Make sure the orientation of the ring fits into the notch in the body. Carefully insert the assembly back into the body. Again, be very careful. You will likely need small pliers/grips/etc. to pull the XLR insert all the way into position while simultaneously pushing the capsule into the body. Tighten the screw through the body into the XLR insert. Slide the capsule cover screen onto the capsule. Screw the basket onto the body. Test the microphone. If you still are experiencing audio problems, contact Sennheiser for service. Little parts are easy to break. Be especially careful with this section. Disclaimer: The links to the hex key and microphone above are Amazon affiliate codes. By clicking through and purchasing, I receive a small kick back. Thank you for your support. Here’s how to get audio from a 96kHZ session using PreSonus gear. On a recent session, I was given 24-bit 96kHz stems to which I need to add acoustic guitar. Since I nearly always record 24-bit 48kHz, the higher sample rate is not familiar territory for me, but it didn’t seem like it would be an issue. To set up for the session, I switched both my RM32AI and Pro Tools to the higher sample rate and restarted Pro Tools. I thought that was enough. On the CS18AI I could see the meters bouncing, but no audio was passing to the speakers. I tried switching back to 48kHz and everything worked fine. Audio simply would not pass through at 96kHz. After troubleshooting using every bit of Google foo I knew, I finally found a forum post that enlightened me. One of the shortcomings of AVB networking is that it can only pass audio at 48kHz or lower sample rates. Boom. I had been using the monitor outputs of the CS18AI to send mains audio to my studio speakers. The CS18AI receives it’s audio feed via AVB, which is why audio was passing fine at 48kHz, but not 96kHz. The fix was simple: unplug the cables from the monitor outputs of the CS18AI and plug them into main outputs of the RM32AI. Problem solved. Here’s hoping this prevents some hair-pulling frustration for you. How to make a broken thing act less broken. I broke the front glass on my iPad mini 2. Things like that happen. Instead of slowly bleeding to death from the micro cuts the broken glass was giving me, I ordered a replacement screen from iFixit.com and followed the replacement guide as best as I could. When everything was put back together the lock button didn’t work. The problem was likely due to the mysterious loss of one of the magnets that triggers the Smart Cover lock. When I opened the iPad, it simply wasn’t there. I don’t know how that happened, but the fact that it was missing caused a problem. Pressing the lock would not make the iPad sleep and because a magnet was missing, closing the Smart Cover didn’t work either. So unless I turned on some of the accessibility features, my iPad would be stuck on all the time. That was less than ideal. Here’s a work around I discovered. 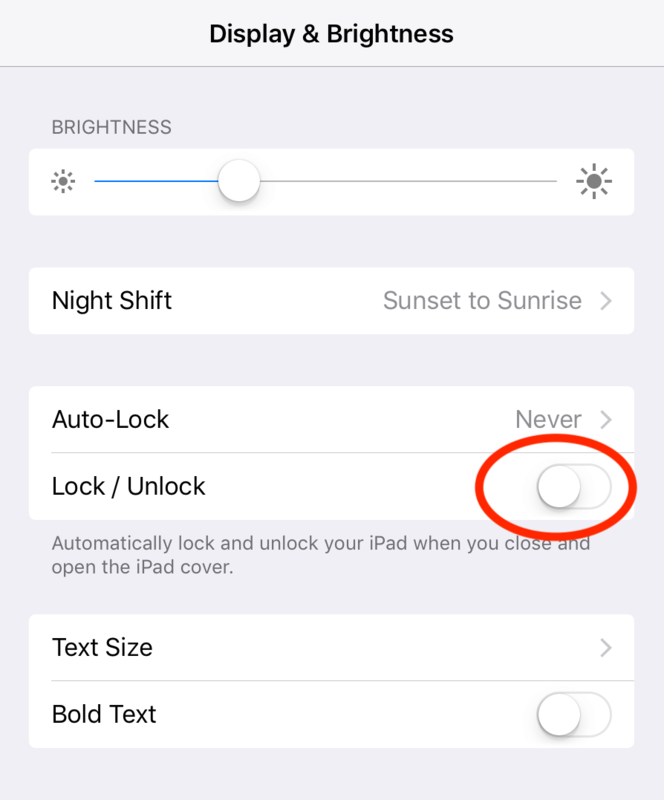 In System Settings under Display & Brightness there’s a Lock/Unlock switch. When I turned that off, the Smart Cover would no longer lock the iPad, which wasn’t a problem because it wasn’t working anyway. But once I turned that switch off, the lock button suddenly started working again. I don’t know why. I only know that it works. Maybe this will be helpful for you too. Seriously, I can never remember. Recalling how many sharps and flats there are in each key signature is really hard for me. I have tried to commit the circle of fifths to memory, but it never seems to stick very well. I try to visualize the circle and think about the fifths. I usually get about a quarter of the way around the circle in my head before I forget where I’m at or what number of fifth I’m on. I know I should be better at this, but I’m just not. So I made the image you see above as a helpful reminder for myself. I’m not sure if this is a new way of looking at it or not, but it sure helps me. Seeing the pattern on a keyboard works better for me for some reason. Maybe it’s the linearity of it? I don’t know. Perhaps you’ll find this helpful too. Make music. Print the parts if you have to. Audix make microphones. They are good microphones. Their D-Vice drum microphone clips are almost perfect. 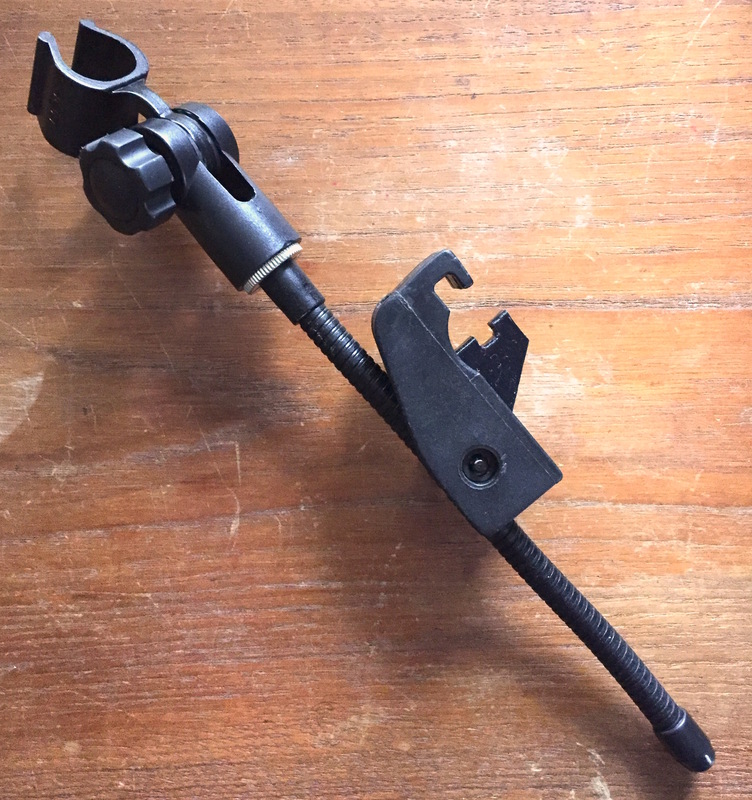 The little spring-loaded clamp part doesn’t like to stay on drums. So I designed a replacement part in SketchUp that can be 3D printed. I’ve uploaded the STL file to Thingiverse. I specifically made it to work with drum isolation/suspension mounts. Download it. Print it. Let me know if it works for you. Check out this new release! 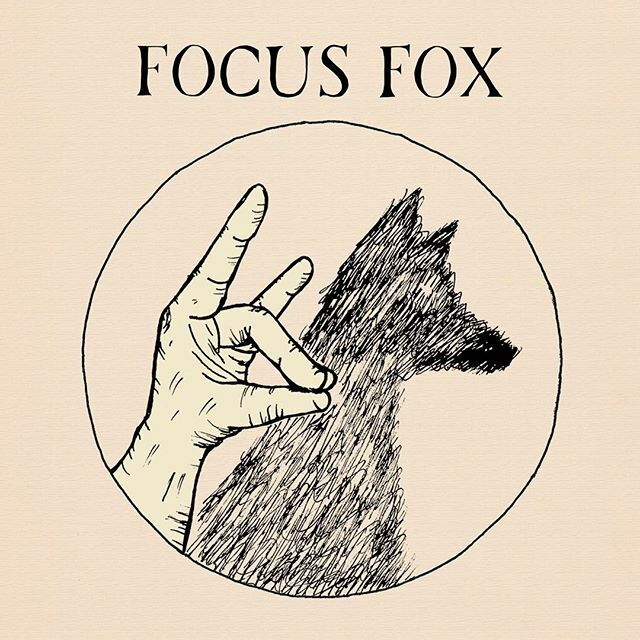 The debut EP from Focus Fox was released today. My brother-in-law Daniel Nelson is the brain child behind this five track modern folk rock/alt-country gem. Dan’s songwriting has found a strong footing here. This short album seems to continue on from where Jeff Buckley abruptly left off. His intricate and lush guitar work accompanies his clear and sometimes vibrato-shaken voice. Lyrics are delivered directly, pulling no punches, but never feeling forced. I had the honor of laying down some BGVs on track 2. Get your ears on the album via iTunes, Amazon, Google Play, or Spotify. Follow the band on Instagram. GEQgen is a web application for editing PreSonus StudioLive GEQ presets offline. I made a web application called GEQgen (short for Graphic EQualizer generator, pronounced: “geek-jin”). It was designed for easy creation of GEQ presets that the first generation PreSonus StudioLive audio mixing consoles read/write/share within the original Universal Control software. GEQgen provides a visual graph for reference. The older Universal Control software (not the newer UC AI version, which only works with StudioLive AI devices) permits editing only when a StudioLive device is connected. The dB values of the 31-band EQ can only be adjusted by clicking and dragging the sliders, which is kind of tedious. Universal Control requires a StudioLive console to be connected to the computer in order to function properly. GEQgen allows offline creation of GEQ presets (convenience!) and for the dB values to be typed in or incremented up and down with the arrow keys. The result is plain text formatted in valid XML that can be saved as a preset and uploaded to first generation StudioLive mixing consoles. GEQgen outputs valid XML which can be saved as a GEQ preset. Why does this matter? Well, sometimes I like to create “flattened” GEQ presets based on the frequency response graph that manufacturers provide with their products. Having a flatter EQ response means that the output of various mains speakers, monitor wedges, and headphones are more consistent with each other. Doing this task was tough in the old Universal Control software. With this new GEQgen tool I can simply look at the graphs, guesstimate the values, and type in what I want. It’s much faster and easier. Graphs like these can be used as reference to create GEQ presets which can flatten the response of loudspeaker output. Maybe you will find this tool useful. I’ve posted it on a new Tools page here on my site. I suspect I will be making more things like this in the future. Let me know what you think. Also, if you like coding for the web, maybe check out GEQgen on Github. Thanks! Do you know The Secret? It’s not really a secret, just science. Nearly every audio problem can be traced back to bad practice. Whether that’s a musician not being prepared or an engineer not using gear correctly, almost every problem encountered in the making of music can be attributed to one of these two camps. For the musician, the answer is simply more (and better) practice. For the engineer, it’s more (and better) knowledge. Practice, so that we might enjoy your performance. Know thy shtuff. Don’t assume that you do. With that in mind, musicians, please excuse yourselves to go practice. Engineers, let’s talk. Cables are crucial to everything you do. They connect every piece of equipment you use. But do you know—and I mean really know—how to hook all of them up correctly? Even if you think you do, chances are that you could be reminded of a few things. I could. An audio engineer is a technical professional that manipulates electrical signals under the pretense that we are ultimately providing auditory pleasure (or at bare minimum, tolerability) for an audience, whomever they shall be. Good sound doesn’t happen by accident. It is the engineer’s duty to use audio equipment properly. Connecting the many pieces of gear together to make a show happen arguably is the engineer’s most basic of tasks and yet the most often screwed up. 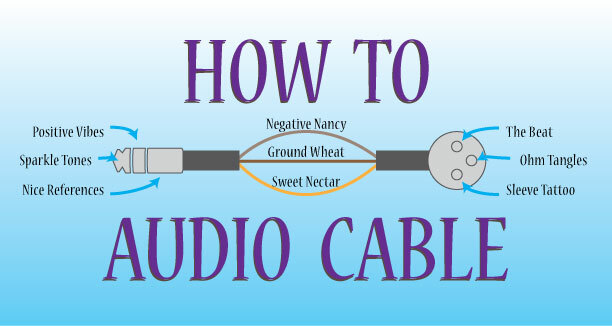 I’ve found no better resource for how cables should be wired for the various scenarios than this article from the folks at Rane called Sound System Interconnection. Bookmark it, study it, refer to it every time you think you know the answer. They provide a way to connect anything to anything else an engineer might need to connect. Do you want the application “Neuron Plugin Scanner.app” to accept incoming network connections? If you’re on a Mac running a contemporary1 version of OS X with the Firewall engaged and trying to fire up RX 5, you might encounter the following error. Thank you for reaching out! Yes the Neuron Plugin Scanner is related to RX 5. RX 5 has the ability to host 3rd party plugins. Those plugins have to be scanned by the Neuron Scanner before they are instantiated. Allowing this functionality is recommended. Verdict: Neuron Plugin Scanner is safe. Simply click Allow and keep making music. It turns out the app is harmless. But clicking Allow every time you open RX 5 is a pain. Shutting off the Firewall is not wise. So if you want to make this dialog box go away forever, here is what to do. You can find System Preferences under the Apple logo () on the far left of the menubar. Click on the Security & Privacy icon. If your System Preferences are locked, unlock them. Enter your system account password when prompted. Once you enter your password, the Firewall Options button will no longer be grayed out. Click it. Scroll down until you see Neuron Plugin Scanner. It will have a red dot and the words “Block incoming connections” beside it. Toggle the setting for the Neuron Plugin Scanner app to read “Allow incoming connections” and exit out by pressing the OK button. That should fix the problem. The alert dialog for Neuron Plugin Scanner will no longer pop up…at least until iZotope updates their software or Apple changes their operating system. This is what worked for me with RX 5.00.135 running on OS X 10.10.5. Not all systems are the same. YMMV. 1Contemporary = a version released within the last few years prior to this article being publish. If these issues still exist at some point years from the publish date, I would be surprised. If so, well hello dear reader from the future. Do we have flying cars in the time you are from? Which DIP switch does what? Plus a simple case mod to make the switches more accessible. The TC Electronic Flashback X4 Delay/Looper effects pedal. The Flashback X4 is one of the delay effects pedals in the Flashback series by TC Electronic. It features their famous 2290 delay along with quite a few other delay modes and a looping function. In addition to the X4, the Flashbacks come in several different packages: Flashback Triple, Flashback, and Flashback Mini. I own both the X4 and Mini. The pedals sound great, have lots of features, and are generally really easy to use. I also like the TonePrint stuff that TC Electronic is putting into all of their newer effects. The pedals can be customized for the exact sound you are looking for. The Flashback X4 has the ability to change some settings on the pedal using internal DIP switches. By flipping these tiny switches hidden inside the pedal, users can adjust the bypass mode to either True Bypass or Buffered Bypass (terms which really only make sense to guitar junkies and audio engineers) and turn the “dry” signal on or off (which can be useful if the pedal is used in an effect send/return scenario). While I love the X4, there are a few issues with these DIP switches. They are inside the case. Removing 7 screws takes time. It makes it hard to quickly A/B test the bypass modes or toggle the Kill Dry. The screws are Torx star drive, not standard or phillips. Good luck finding the right bit when you need it. The switches are not labeled. The manual tries to explain them, but it’s still confusing. Here is the explanation of the switches from the user manual. These are the cryptic instructions found on page 32 of the user manual. The green circle shows the location of the DIP switches on the main PCB. Here is a close up of the switches with labels for what each switch controls. DIP switch 1 controls the Bypass Mode and switch 2 controls the Kill Dry On/Off. The numbers might vary from unit to unit, so go by the location and direction, not the labels on the switch. Be careful when flipping those little switches. They are delicate plastic components. Instead of fiddling with the back panel every time I want to adjust these settings, I figured I would modify the pedal to make it easier. I could’ve gone the route of desoldering the DIP switch and wiring in a pair of new switches mounted externally. But that seemed like a lot of work. Instead I simply drilled a hole in the bottom panel. Flip the pedal over with the jack panel away from you. Once you find the right T10 Torx star bit, you can take the 7 screws out. Be careful not to mess up these screws. They are made from a soft metal and are easily damaged if roughly driven or over tightened. Measure where the center of the DIP switches are located. Mine was 41mm (~1 5/8″) from the right edge and 72mm (~2 13/16″) up from the bottom edge. This location may vary from pedal to pedal, so make sure to take your own measurements on your specific pedal. Mark the location on the bottom panel. It should be somewhere in the area where the label is. Drilled the hole. I used a 5/32″ drill bit because that was the only size bit that I had on hand that was not too big and not too small. You might want to go for a little larger diameter drill bit to give yourself more room to toggle the switches. The metal is fairly soft, so you shouldn’t need any drilling oil. Clean away the metal shavings. Make sure you didn’t get any into the pedal. Metal shavings could cause electrical shorts in the circuit. Test fit the bottom panel, adjust if necessary, and replace it. The result should look something like this. This is the 5/32″ hole drilled into the bottom panel. As you can see, the hole is nearly invisible with that label there. To adjust the switches, use a small screwdriver or paperclip. Again, be careful when toggling the delicate DIP switches! I might print up some labels to put on the bottom panel so I can remember which switch is which. Copy, Cut, Paste — Egg on Face. The Internet. The World Wide Wow. It’s a digital jungle out there, kids. But it sometimes brings fortune. There’s a first time for everything. This is not one of those times. Blame it on entropy or whatever. Things get messed up. Apple’s OS X is no exception. You are opening the application ”Pro Tools” for the first time. Are you sure you want to open this application? Except, it’s not true. I open Pro Tools nearly every day. The alert isn’t very important, but it was beginning to get annoying seeing this pop up every time I wanted to record. This is where the Matrix is on your Mac. There’s no green falling code or woman in the red dress. There may Agent Smiths lurking though. Open the Terminal application (found in /Applications/Utilities/). Copy the following command (all of it… the whole long line) and paste it after the prompt. The process will begin. It may take a minute or two to finish. Do not quit the Terminal application while the command is running. Eventually the process will complete and another prompt will appear. Now you can quit the Terminal app. This command resets all of the first run warnings. So any application that requires that will be reset. So you should see the alert one more time for each of those applications and then it will go away for good. Those fonts probably aren’t missing. Most likely the fonts aren’t missing, but simply disabled, which makes the fix really easy. Here’s how to re-enable the “missing” fonts. First, open the application Font Book. This native OS X font manager should be located in your Mac’s Applications folder. Second, search for the missing fonts. Font Book has a search field in the upright corner. Type in the names of the missing fonts. Enabled fonts are shown in black text. Disabled fonts are grayed out and are labeled “Off” on the right hand side. In my case, all of my “missing” fonts were part of the Reprise family, I typed in “reprise” and all of the fonts in question appeared in the filtered list. Third, enable the fonts. Select the fonts you want to re-enable. Then hit Shift-Command-D. You can also enable fonts by using the menu bar by selecting Edit > Enable Fonts. The fonts should turn black and the “Off” label will disappear. I see you checking out my wallpaper. Lastly, close Font Book and reopen Sibelius. If you enabled all the “missing” fonts, you should be good to go. The error shouldn’t pop up this time, however, it may happen again in the future. I’ve had to run the fix a couple times now. I don’t know why this error seems to reoccur. If you know why those Reprise fonts sometimes disable themselves, please send me an email or comment below. Being a graphic artist as well, I know that fonts are notorious for becoming corrupt, conflicting with other fonts, and generally being a hassle to manage. You might think being a musician is a good way to get away from graphic design problems, but unfortunately software like Sibelius relies on fonts to display notation. At least the fix for this error is easy to do and only takes a minute. The fix I posted above seemed to only work for a while. Occasionally, I would have to run the fix again, which is to say, it wasn’t much of a fix. So, I dug in further and found a real, permanent fix. The issue was with duplicate fonts. The strange bit was that it wasn’t duplicates of the Reprise family, which was the family of fonts that Sibelius said were missing. Instead it was duplicates of various other fonts that Sibelius uses. By referencing this forum post and this forum post, I figured out which fonts Sibelius requires and, thus, which ones might be causing problems. Then, for clarity’s sake, in the Font Book application I created a new Collection (File > New Collection or ⌘N). After that I did a search for duplicate fonts (Edit > Look for Enabled Duplicates… or ⌘L) and looked in the Sibelius font collection for any that were flagged. Sure enough, about a third of the fonts that Sibelius uses had duplicate copies. One by one, I “resolved” (deleted) the duplicate fonts, then rebooted. Problem solved. This might be the solution. An unexpected authorization error 14051 occurred. I got this error a few days ago. It’s a new one for me. What caused this? Good question. I have no idea. Pro Tools wouldn’t really start after this. 1. Pro Tools error occurs. 2. Google the error. 3. Find Avid forum entry with no solution. 4. Go to step 2. For the record, at the time the error occurred I was running OS 10.8.4 and Pro Tools 9.0.6 on a Mac Book Pro with an iLok 2. I had to force quit Pro Tools. Then I unplugged my iLok 2 and plugged it into a different USB jack. Presto. Working again. Not sure what caused it, nor if switching USB jacks was actually the fix, but I did get it working again after doing so. Hope this helps somebody. Where does Bourne end and Snowden begin? Where’s the line between truth and fiction? What’s the difference between copyright infringement and fair use parody for the sake of satire? 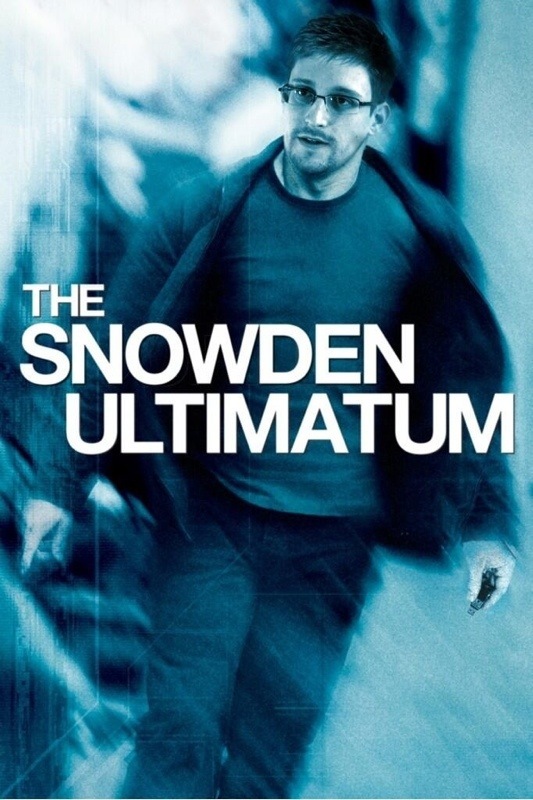 After thinking about the scandalous NSA manhunt for Edward Snowden, I realized there are a lot of similarities between the news right now and the Bourne trilogy movies. I tweeted this a couple of days ago. I wish Forbes wouldn’t have cropped the image, because I think the USB stick really makes the image. But oh well. It’s entertaining to see something I made get spread around a little. And hopefully the image gets people thinking about why nearly everyone considers the fictional Bourne identity a hero, but so many view the very real Snowden otherwise. Update 2013-06-26 11:44am: As you can see in the comments section below, a guy named Jasin Boland, who appears to be the photographer of the original image, has contacted me. I’ve emailed him with some questions. Whether he is the sole owner of the copyright or not is still unclear. Perhaps it belongs to Universal Pictures or other digital artists have claims on it as well? Regardless of original ownership, my manipulations of the image for the sake of satire are considered “fair use” under copyright law. Furthermore, I claim no ownership or copyright of my manipulated image and have received no compensation for its usage anywhere. She says she’s even planning to use it as an example in a law school class she’s teaching next semester. A little history plus a free download of plug-in settings for Haas Effect panning. A smart guy named Helmut Haas discovered a bunch of cool things about the way our human brains decode the sounds we hear to determine the direction of where those sounds originate. Back in 1949, Mr. Haas found that early reflections of sounds help our brains decipher where the sounds came from. We can tell a noise came from the left not simply because we hear it in our left ear, but also because the sound bounces off a wall to our right and hits our right ear a very short time after it hit our left ear. Almost instantaneously, the brain detects the short time between the two signals and tells us, “Hey, that sound you just heard came from your left. Better turn your head to see what it was!” This happens so quickly that we don’t really even think about it. We just “know” it came from the left. Haas also recognized that early reflections are basically copies of the initial sound that are delayed slightly. He started messing with people’s heads. He pointed speakers at them and firing sounds with very short delay differences. Then he asked the test subjects which direction the sound seemed to come from. His conclusion: Not only is it fun to play with sounds, but also 40 ms (milliseconds) is some kind of magic point for our brains. If an echo is more than 40 ms after the initial sound, then we hear the sounds as separate instances. But if the delays happen within 40 ms or less of each other, then we perceive them together as merely directionality cues of a single sound. For example, if a sound hits our right ear and the same sound hits our left ear 0.3 ms later, we don’t hear two sounds, we only hear one sound coming from approximately our 1 o’clock position. And so the Haas effect was named after him. Engineers have implemented the Haas effect as an alternative to panning. Most of the time panning works just fine, but it does have limits. Sometimes panning leaves the location of the audio feeling indeterminate, smeared, mono, or one dimensional. This is why a lot of engineers skip the pan knob altogether and mix LCR. To effectively localize a track in a stereo field using the Haas effect, engineers have to do a couple things. They duplicate the track, pan the two tracks hard left and right, and then apply a delay to only one of the sides. The delay is applied to the side opposite of the side from which the sound is intended to perceived as originating. Typical delay times for this technique are increments of 0.1 ms from 0.1 to 0.7 ms. 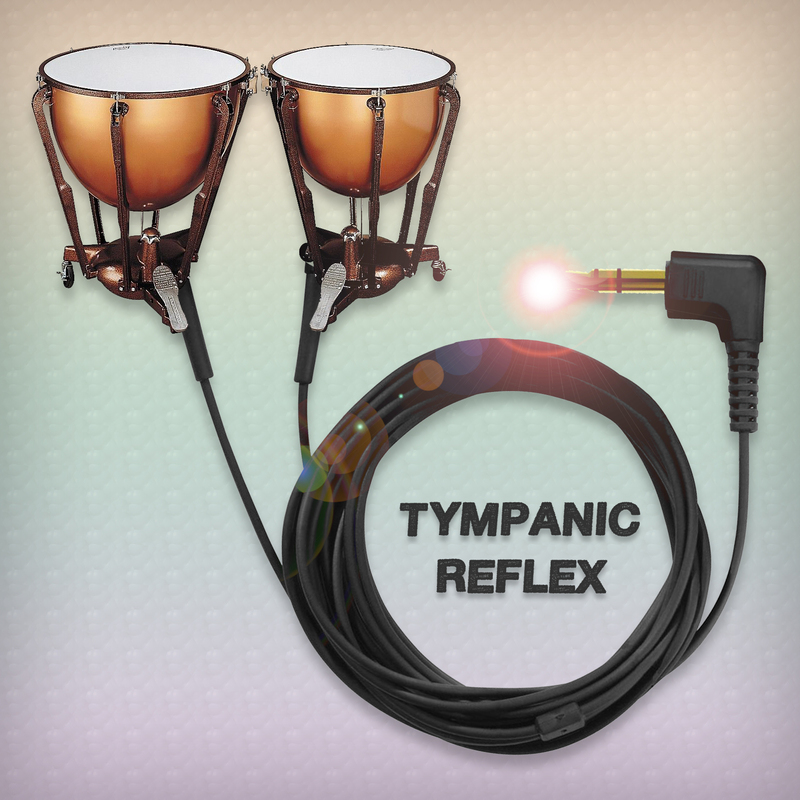 This yields linear movement across the stereo field. You can think of it like this chart shows. Example: Want the sound to come from 9 o’clock on the left? Delay the right side by about 0.4 or 0.5 ms.
After researching the Haas Effect, I decided I wanted to try it out in a mix. Since the settings must be very exact, setting it up correctly can be a bit confusing. Presets to the rescue! I made these presets for the stock Digidesign Mod Delay II plug-in. These presets only work for this specific plug-in and Pro Tools. If there’s interest, maybe I’ll make more presets for other DAWs in the future. Download this ZIP file, unzip it, and drop the folder and included presets in the Mod Delay II folder in the Plug-in Settings folder. On a Mac it’s probably located at Library / Application Support / Digidesign / Plug-In Settings / Mod Delay II, but may be in a different location on your system. 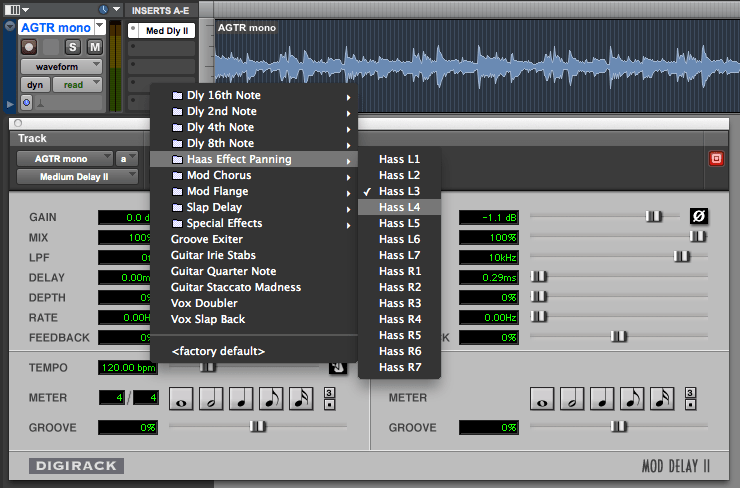 Insert an instance of the Mod Delay II (mono/stereo) plug-in on the mono track you want to Haas-ify. Select the preset you want. No need to duplicate tracks. Bingo. Understanding how to use the Haas effect properly means you need to understand and pay attention to things like stereo-to-mono compatibility and comb filtering, as well as other stereo field mixing techniques. As with all effects, have fun but be careful not to over do it. Experiment and do your homework. Then let me know if you find learn or discover anything cool. Here’s a cool video that got me thinking about the Haas effect. This video no longer available. This is the best dating advice I can give you. It may not be what you’re looking for. I’m sorry. I write songs, then document them on my computer in plain text files. As I’m working on a song I may revise it at a later date or create alternate versions. The dates I start and edit my songs are valuable to me for both posterity sake (i.e. copyright), as well as sorting purposes. The easiest way to manage the dates would be not to worry about the date. I could simply depend solely on the file meta data. Most modern operating systems automatically attach “created on” and “last modified” dates to files, so I could just do nothing and hope that everything is kept in order. Storing valuable info in the meta data is a good way to make sure you never have accurate data. But that system only works as long as the meta data doesn’t get stripped from the file. Unfortunately, for reasons I don’t fully understand, I’ve found that sometimes it does get lost. But, if I save that file as “My Next Amazing Song.txt” and throw it in my “Unfinished Songs” file with my other works-in-progress, there’s no way to quickly sort the songs based on that date. Why do I date them with that format? In the US, dates are often written MM/DD/YY, while in the UK dates are typically written DD/MM/YY. Occasionally the formats are flopped resulting in either YY/MM/DD or YY/DD/MM. Sometimes the year has 4 digits, sometimes 2. All of this causes confusion. Does 05/04/06 refer to May 4th or April 5th? And is that 1806 or 1906? Or is the year ’05? Shenanigans! So, clearly, YYYY-MM-DD is the best way to assign dates. In fact, as a reminder I create a little retweetable poem. Need proof that YYYY-MM-DD is the best? Let’s pretend the future chart topper “My Next Amazing Song” was first created on January 3rd, 2010, then revised on February 1st, 2011 and again on January 2nd, 2012, resulting in 3 versions of the file. If I name the 3 files using the 3 different methods DD-MM-YYYY, MM-DD-YYYY, and YYYY-MM-DD, this is how computers will alphabetically sort the files. As you can see, YYYY-MM-DD is the only format that sorts the files chronologically. If we used DD-MM-YYYY, files would be grouped by the days first, months second, and years last — a total chronological disaster. And if we used MM-DD-YYYY, all the January files, regardless of year, would come first, then all the February files, etc. — a little better, but still a mess. YYYY-MM-DD puts the files into the order they were created. If you’re wondering whether 2 digits would be sufficient for the year instead of 4, definitely read up about Y2K. Around the turn of the century, YY vs. YYYY was kind of a thing. This date format works with all sorts of files types, not just plain text files. I often bounce mixes of recordings with the YYYY-MM-DD date in the name so they appear sorted the right way in iTunes. None of this will make you a better songwriter, but at least your songs will be organized. As they say, the deviled eggs are in the details. Writing musical parts can be like hiding Easter eggs for kids. If you make the secrets too easy or too hard to discover, then the game isn’t fun. The patterns and motifs in music have to be somewhat conspicuous, but not too obvious. Listeners, like children searching for treasures on Easter morning, enjoy the hunt, but only if the treasures can be found without too much hardship. That said, I’ve tried to put Easter eggs into my music, but sometimes I wonder if I’ve hidden them too well. I rarely get feedback on this level, so if you’ve found something in my music, it would be nice to hear about it. P.S. And while we’re on the subject… how about this Fabergé egg? Woah. Here is how I fix this Pro Tools error. Ever get this error? Can’t open your session, right? Not only is it a major workflow stopper, but the double punctuation typo at the end is annoying as well. Luckily, the solution is quite simple. This is the quick fix that works for me and my particular setup of hardware/software. Your mileage may vary. The IT mantra “Have you tried turning if off and on again?” waves the problem away like a magic wand, but why is this problem happening in the first place? The last time this error occurred for me, I noticed that it was after I had ejected my audio hard drive, removed my iLok, and left Pro Tools open, but put my machine to sleep before Pro Tools could issue the panic message: “Hey! Where’s your iLok, buddy?! That’s it! We’re shutting this whole thing down.” Then when I went to reopen the last session I was working on, boom, the error in question occured. I’m guessing that between the time I ejected everything and the time I plugged it all back in and tried to fire it up again, Pro Tools had switched its default sample rate from whatever my Mbox 2 Pro says it was to whatever my MacBook Pro thinks it should be. Then when I try to open a session with a particular sample rate that doesn’t jive with what the current rate is, Pro Tools freaks out because it thought it knew what was right, but doesn’t even know anymore, man. Disclaimer: I don’t actually know how or why the error is occurring. These are just my slightly educated stabs in the dark. If you know anything more about this error, why it happens, and, most importantly, why there’s a typo in it, please leave your thoughts in the comments section below. Dave Wilton makes great music. Period. Dave is as charming as he looks. Photo by Shannon Kaple. I love when good things happen to my friends. Recently, my friend Dave Wilton, who writes and performs under the name A Boy & His Kite, had his song “Cover Your Tracks” selected to be included in the upcoming The Twilight Saga: Breaking Dawn, Pt. 2 movie. The soundtrack is out now (available on iTunes) and his full album (which is sure to be amazing) will be out soon November 20th. A blurry “vintage” photo from the age of flip phones of Dave and me at The Recording House working on Rudisill tunes. Dave is a very talented songwriter, musician, engineer, and producer. He’s also one of the nicest guys I know. So if anyone deserves the attention that a Twilight soundtrack attracts, it’s certainly Dave. He makes incredibly beautiful and complex music. I’ve learned a lot from him over the years. We met through his brother Dan, bassist and one of the three singers/songwriters in Rudisill. Dave was a tremendous help and positive influence over us as we were getting started as a band. He helped guide a few of our recording sessions, bestowed some of his songwriting and musical wisdom with us, and even lent us his gorgeous Tele a few times. (Side note: Dave, I’m going to steal that guitar from you someday. Just FYI. 😉 ). I’m really excited for Dave and hope everyone can pick up his record when it comes out. Make sure to follow Dave / A Boy & His Kite for all the latest news about his music! If you can, help spread the word about his music too! Maybe there are no secrets. Maybe making a great mix simply comes down to listening to a song a thousand times and removing all the little things that annoy you until there’s nothing left to dislike. Hopefully the subtraction leaves you with enough material to reveal the goodness of the song. I bet great mixing engineers can get there in fewer than a 1000 listens. Maybe there’s more to it. Just a thought. Is every new technological development just a deeper dream state? Sound is basically waves of pressure changes. The exact definition is more complicated, but essentially we perceive sound because our ears decode the frequencies of oscillating movement of particles in gases, liquids, and solids. There are many ways to generate sound waves, such as plucking guitar strings so they vibrate, or hitting a membrane like a drum head. A long time ago, people discovered that sound could also be made by blowing air through a pipe with a opening on the side, thus inventing the whistle. They also found that a range of tones could be produced by assembling a group of whistles with varying lengths and diameters. Then they attached a controller (called a keyboard or manual) so that one person could “play” this collection of pipes. Their invention is what we now know as the pipe organ. At the start, pipe organs had only one timbre – a basic whistle sound, but over the next several hundred years, smart inventors and musicians made improvements in the technology. They found ways to emulate lots of other instruments, like brass, woodwinds, percussion, and even human voices. Their hope was to fully replicate those real life instruments. As features were added, pipe organs evolved into enormous, elaborate, and expensive installations, increasingly more complicated to play and maintain. While these pipe organs were truly amazing inventions, capable of creating complex and beautiful music, they were actually quite poor emulations of the real life instruments they were intended to replace. Still, we humans are adaptable and we fell in love with the sound of pipe organs, learning to appreciate the instrument for what it was, not what it wasn’t. Eventually, we discovered electricity and began to harness its power to create electromechanical instruments. Creative minds developed things like vacuum tubes, tone wheels, and transistors. Companies like Hammond and Wurlitzer implemented tone wheels to generate sounds approximating a pipe organ. However, similar to the pipe organ, this new technology was a brilliant invention that poorly emulated its predecessor. These new organs were affordable alternatives to pipe organs, so in spite of being a bad imitation they became popular with smaller houses of worship. Traveling musicians took advantage of the portability of these smaller organs too, making their sound common in popular jazz, blues, and rock music. Once again, our ears grew accustomed to the sound of the imitation, developing an affinity for the quirks of its particular aesthetic. As the march of progress continued, electronics became smaller and more powerful. 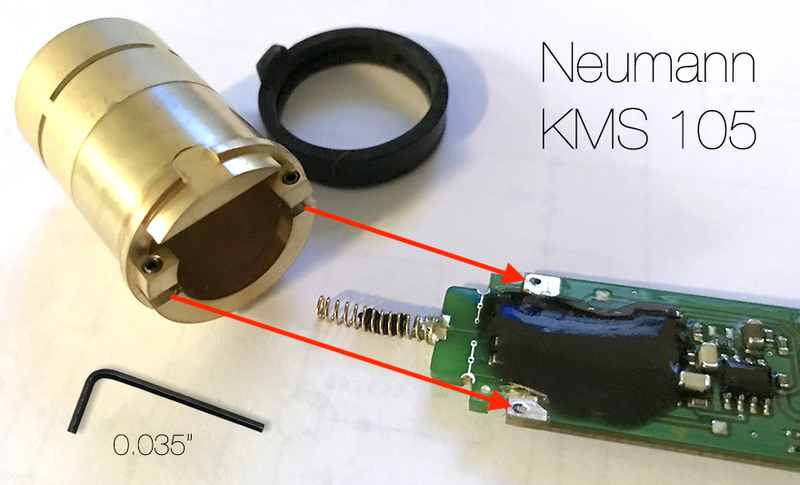 Engineers found ways to replace the delicate mechanical parts in electric organs, which were subject to wear and tear, with completely electronic sound generators. Lightweight, all electronic keyboard synthesizers used a variety of methods in attempts to replicate the sounds of their heavier electromechanical ancestors. But just like before, history would repeat itself. The new emulators were incredible technological achievements that fell short of their goal of replacing the old technology. Though they lacked the ability to fully replicate the previous generation, they possessed attributes that eventually found an audience of connoisseurs that valued them not just in spite of their glitches, but because of their unique properties. Today, we synthesize the sounds of the old technologies with computers and keyboard MIDI controllers. While initially computers could only crudely imitate the old masters, DSP technology is progressing rapidly. CPU speed and available RAM are no longer the main limitation factors. As the computational power ceiling continues to rise higher and higher, software programmers are able to provide increasingly nuanced emulators that can easily fool the listener into believing that the software is actually the real thing. At this point, if you’re still reading, then you probably can see how this history correlates to the plot of the film Inception . Each new technological breakthrough has been like a deeper dream state, where the simulation moves further and further away from reality. However, just like in the film, while each level becomes more strange and abstract, the deepest level — Limbo — actually approaches something most like the real thing or maybe even better. Today’s emulators delve into such detail and are able to control even the most minute aspects of the sound, that it won’t be long before they easily eclipse the believability of the old technology. In fact, we may already be there. A few years ago (when the emulators weren’t half as good as they are now), a friend of mine (who has very good ears) dropped by the studio to hear a song I was working on. When the B3 organ kicked in during the chorus, he declared, “That organ sounds great. There’s nothing like the real thing!” Muwhahaha! The smoke and mirrors of software emulation had worked. This idea of how keyboard technology relates to Inception came about through a discussion with my friend Hoss. Over the weekend we were working on the keyboard parts for our band Rudisill’s next album Take To Flight . In between takes of an organ part we marveled at the realization that the software he was using was an emulation of an emulation of an emulation — a truly strange scenario. Follow Rudisill to hear about the new album when it is released later. “Bring Me All The Way Home” is the last track on my album All Is Sideways . This video is me singing the actual take heard on the album. Thanks to Lynn Graber of The Recording House for engineering the audio for this session. For more information about this song, visit the “Bring Me All The Way Home” information page. To buy the album, visit the store page.